Pursuit. Plays in your core. 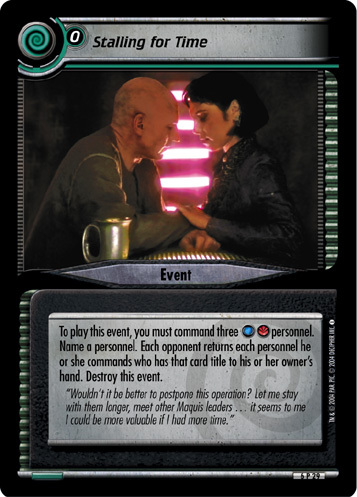 When your opponent overcomes a dilemma, you may place a card from hand on this event. 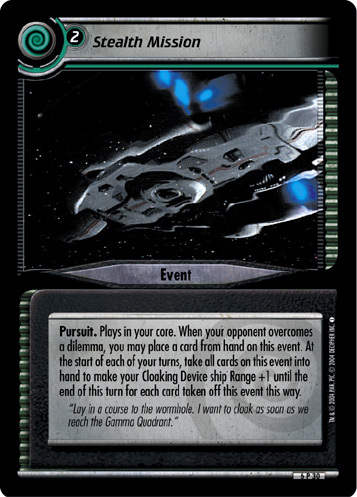 At the start of each of your turns, take all cards on this event into hand to make your Cloaking Device ship Range +1 until the end of this turn for each card take off this event this way. "Lay in a course to the wormhole. 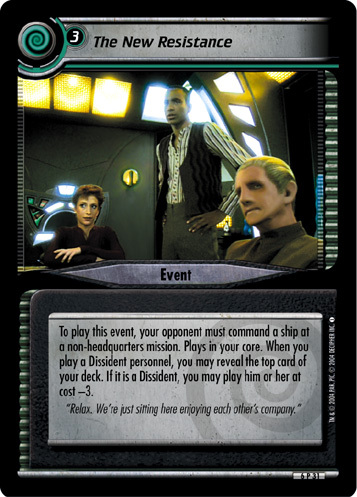 I want to cloak as soon as we reach the Gamma Quadrant."